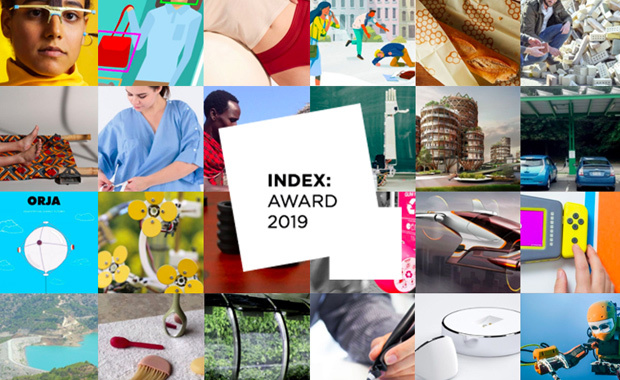 INDEX: Award, the biggest design award in the world — commonly referred to as the “Nobel Prize of design”, is currently accepting nominations for 2019. The importance lies in the unique, over-arching theme of Design to Improve Life: a concept enabling design to be used as a tool to address the world’s biggest challenges and reach our biggest goals. This concept has established INDEX: Award as a global, inspirational design beacon. Winners will be selected in each of the five competition categories and will be awarded with 100,000 Euro each. A total of 500,000 Euro will be awarded! All winners and finalists are selected by the international INDEX: Award Jury according to the three criteria of Form, Impact and Context, representing not only the appearance of the design but also its ability to improve life for its user. Anyone can nominate for INDEX: Award, free of charge. The 2019 winners will be unveiled in August/September 2019. INDEX: Award is awarded biennially in Denmark, and has since its inauguration in 2005 received over 6,100 nominations from more than 100 countries. So far, the 35 winning design teams have received a grand total of 3,5 million Euro.